The Bihar CM said that he had asked Lalu Prasadv Yadav and his son Tejashwi Yadav to explain the corruption allegations against them but they didn't pay heed to his warnings. Nitish Kumar said the situation could have been completely different had Lalu Prasad Yadav listened to him. After taking charge as the Bihar Chief Minister once again on July 27, the JD(U) President Nitish Kumar on Monday addressed a press conference in Patna. While speaking to media, Nitish Kumar said he tried his best to keep the ‘Mahagatbhandan’ intact but whatever was happening forced him to resign. “I didn’t have a choice, tolerated everything, I thought this happens in alliance. Continued to work,” Nitish Kumar said. The Bihar CM also said that he had asked Lalu Prasadv Yadav and his son Tejashwi Yadav to explain the corruption allegations against them, which they didn’t. He asserted that the situation could have been completely different had they listened to him. “I had asked to explain the corruption allegations. Had they done that, the situation could have been different,” Bihar CM said. He also said that it was because of people’s support that they cleared the floor test with majority and formed government in Bihar. On 2019 Lok Sabha elections, Nitish Kumar said nobody has the capability to compete with Prime Minister Narendra Modi. 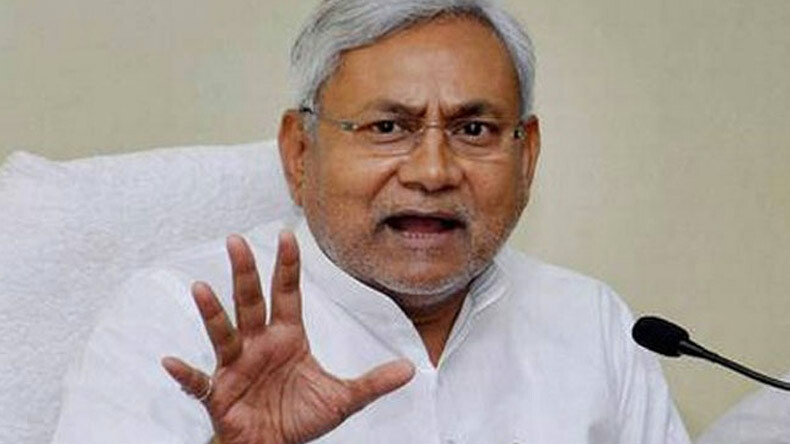 After the new Bihar government won the trust vote in the assembly on Friday, Deputy Chief Minister Sushil Kumar Modi said the “unnatural Grand Alliance died naturally”, and praised Nitish Kumar for not bowing before RJD chief Lalu Prasad.